Goodreads: When debut novelist Eliza Fontaine is found at the bottom of a hotel pool, her family at first assumes that it’s just another failed suicide attempt. But Eliza swears she was pushed, and her rescuer is the only witness. Kritters Thoughts: There are two books within this one book. Eliza Fontaine is a woman who has been found at the bottom of a pool and she can't swim and this isn't the first time this has happened to her. 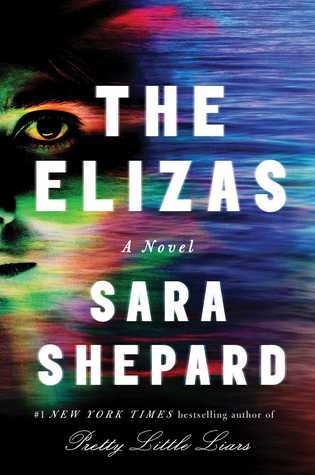 The other thing that is within this book is a book that Eliza has written and the chapters of the book are interspersed within her chapters about her character. For me it was a little confusing and I had some trouble with it. If you haven't read in the mystery/thriller genre, I think this one would be a good introduction to get your feet wet and I would especially recommend if you have read mostly YA and want to start a transition into adult novels. BUT if you have been reading in the mystery/thriller genre for awhile, this one may not work for you. It felt a little elementary from the actual plot to the writing, it just felt simple and I like my mystery/thriller novels to stretch me and make me read a little more closely. I liked this book, but didn't love it. I would read another mystery by Sara Shepard, but would be a little hesitant and make sure the synopsis sounded interesting.